One very important aspect of SEO is the On-Page SEO. I even dare to say that it is the most important aspect. Some fellow digital marketeers would disagree by placing their faith on the Off-Page SEO which aims mainly on link-building. However as much as the latter is needed for better ranking, the lack of great and optimized content will reduce the value of your website in the visitors eyes. Let’s not forget that link-building is a double-edged sword. Why? Because in some cases it might ruin your SEO strategy due to a penalty by the search engines. And I believe that none of you wants this, right? 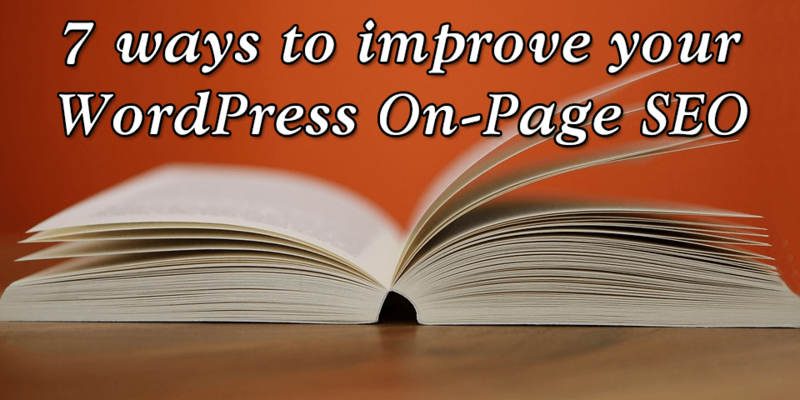 That is why in this post I will share with you 7 ways to improve your WordPress On-Page SEO. Let’s begin! 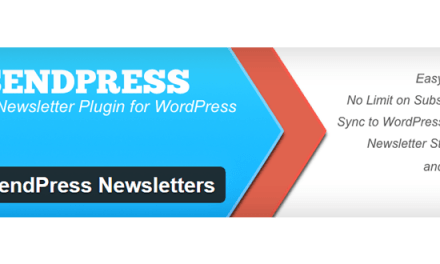 WordPress is great – we all know this. However some WordPress websites can grow into memory and CPU eating monsters. It happens quite a lot – especially if you are using low-quality plugins or plugins that are not working correctly with one-another (a.k.a. incompatible plugins). And while plugin management is your responsibility it is also important to rely on a high-quality hosting provider. This will ensure that your website will simply work. So the first thing to do is to check if your hosting provider gives you the quality you deserve and if not, it’s a good idea to migrate your website to another one. It’s also very important to have backups performed by your hosting provider. Additionally you might want to check some WordPress backup plugins like the ones that we have reviewed on TheCMSPlace. Check them out from here. Without a proper keyword research your content will have little chance reaching a wider audience . This means that your SEO campaign is vital for your business. That is why you need to research all suitable keywords and phrases and use them wisely in your content. This will ensure that your target visitors will find your website in the search results. You should consider using tools like Open Site Explorer or Ahrefs for keyword research. But having a bunch of suitable words and phrases is not the only thing that will make your content great. Let’s not forget that over-optimization with keywords is very bad for On-Page SEO. You have to use these words moderately in your content. In order to make it great, it has to be also useful and specific. This means that you have to write about topics that are strictly related to the main idea behind your website. Great content can provide additional value to your visitors. For example a “how-to article” in which you describe the usage of a product will be extremely valuable. Also you have to make it user-friendly by writing in a style that is best accepted by your target group of visitors. Therefore it is imperative to know your audience and their needs and desires. Last but not least – watch your grammar and punctuation and never forget that content is (and always will be) king! These WordPress plugins will make it extremely easy for you to manage your On-Page SEO. They will help you add all the important meta elements to your posts and pages and also to place suitable keywords and phrases in all applicable places so that your website will be crawled and indexed better. Also such plugins will allow you to optimize your content for social media as well. One of the best solutions that is suitable even for beginners is YoastSEO. There is nothing worse than a bunch of large, unoptimized images and other multimedia content that make your website slow as a turtle. And this is something that you simply don’t want! Lucky for you we have an awesome collection of extremely easy-to-use tips for optimizing your images. Check it out from this link. WordPress is the king of creating internal links out-of-the-box! This is achieved with the awesome tag and category systems. By using them wisely you will get many internal links between related content. And having more of them is essential for On-Page SEO as it improves the crawling process of your website. Consider using plugins for related posts. They will automatically create even more internal links between posts with similar content. To do this you have to make an audit of your pages and posts. You can use tools like SiteLiner or Screaming Frog. Choose posts and pages that contain great content and allow your visitors to reach them by using the navigation system of your website. 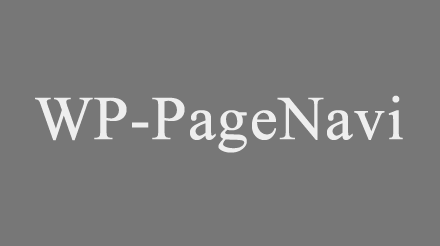 Also consider using plugins like WP-PageNavi in order to achieve even better results. Lastly – always check for broken links and if needed apply 301 redirects. These two meta elements are very important for SEO. The first one is used when you want to tell the search engine bots not to follow a link that you have created. The second one tells them not to index the current post or page. In most cases you’d like to add a nofollow attribute to each external link (except the ones that you are sure that you want to share link juice with) while trying to keep the all internal ones “dofollow”. However there are cases in which you’d want to add nofollow attribute to some internal links as well. Based on the results from the content audit from the previous step, you should apply this to all links that point to pages/posts with little or low-quality content. Also you can set some pages to “noindex”. By doing this you can ensure that the PageRank flow will be distributed only between the most important parts of your WordPress website. W3 Total Cache, WP SuperCache or some other high-quality solution like ZenCache will boost the speed of your website. This means that the visitors will get to view your pages faster and also your hosting server won’t get overburdened. 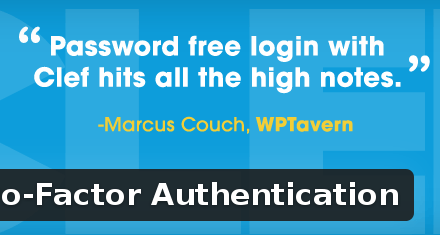 Also make sure that you have taken care of your .htaccess file by optimizing it additionally. This will ensure even better On-Page SEO results. These are my 7 ways to improve your WordPress On-Page SEO. What do you think about them? Share any questions or feedback in the comment section below and share this post is social media as well.